Take Time Out from Your Busy Life! Busy life is over scheduled, meltdown madness where you find yourself rushing from one thing to another whilst permanently checking your phone and Googling if you’ve got it right. Life has gotten ridiculously busy and if you read my blog post Letter to Busy Mum you will realise how important it is that children are able to stop doing and start being. Being who they really are. In a noisy world full of stress, remembering who we are and what matters to us is guaranteed to feel good. Climb Inside Your Blissful Bubble! Imagine how this crazy world feels like for children. They are constantly operating on somebody else’s schedule – school, clubs, homework and the rest. How do we protect them from that and help them listen to themselves? Well, first off we role model healthy habits and teach them how to relax. How to be with themselves and feel safe, secure and happy. 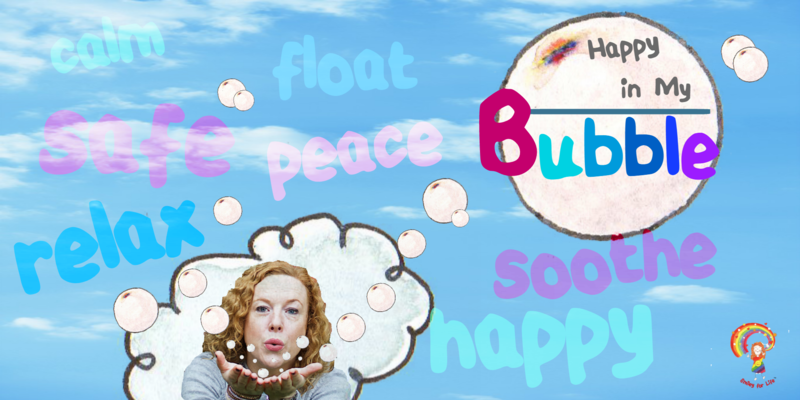 Happy In My Bubble is a tailor-made relaxation download which will provide them with that magical place to rest. They can listen to it any time that busy life feels overwhelming. Simply plug in your ear phones and sink into your blissful bubble. I had to write to tell you about the relaxation download you made for our 4-year old daughter. We’ve been doing it one week now and I can’t tell you how pleased we are. What a difference; even my husband has noticed how it is working. Previously, my daughter would go to sleep, but throughout the night would call out and scream loudly, then not be able to re- settle herself. We’ve done the relaxation every night and the change is brilliant. She hasn’t screamed or needed me to stay with her. Instead of getting up 5 times a night, I’ve only been getting up once because I can’t believe she’s sleeping so soundly. Heaven! She is sleeping in longer in the morning too. She must be having much deeper sleep as there are less big crazy meltdowns than before. Everything is so much calmer. She loves the relaxation too; she even asks to do it! I wish I had given it a go sooner. Thank you! I can now catch up on the last few years of sleep! It’s amazing how something so simple, a 5 minute recording, can have such a massive impact. Float away inside you colourful bubble to find your safe and happy place. Place your order for Happy In My Bubble by clicking on the PayPal button below. 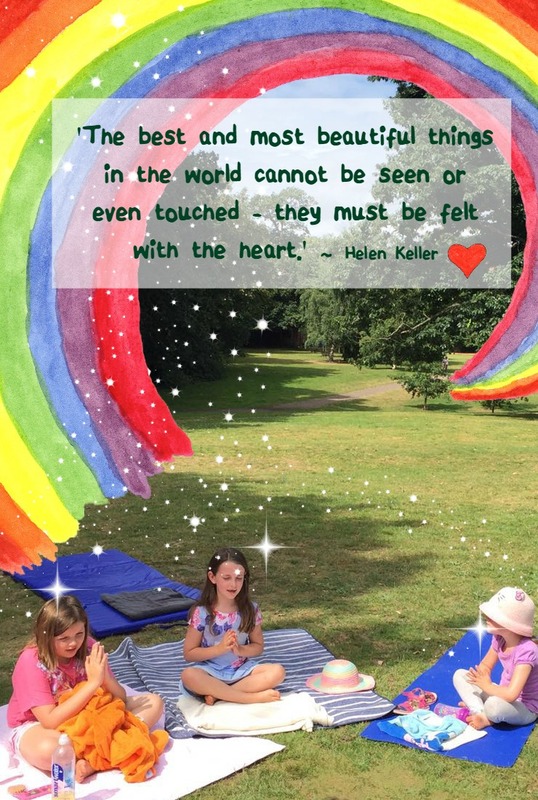 You will then be sent a questionnaire so we can really step inside your child’s amazing imagination and discover what is important for them and what they really need. They will have the choice to draw or write about where they want to be. I will make other orders on requests – Mums love them too! Relaxation is incredibly important for all of us but especially children. Learning how to go within and find a quiet space inside your mind so you can reconnect with yourself is a life skill. Learning it at a young age sets us up for a happy and healthy life. As well as being scientifically proven to have massive health benefits, meditation is also a great way to boost serotonin (happiness) and oxytocin* (love) which is the equivalent of giving yourself a hug. 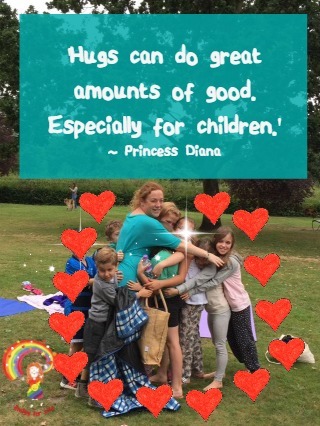 Read more here to find out how powerful hugs really are and also how my clients learn to harness their energy and protect it. I really enjoy making them. It’s like reading bed time stories to children all over the world and knowing that they will fall asleep peaceful and happy. You can book a Skype or Face time coaching call for your child with Smiley to personally talk through what you want – ask for more details. So for my little client above who wanted to pop me in a match box so he could drink in all the magic of Smiley coaching, I made this. It started out as an experiment and now it has turned into something which is in demand. I really enjoy making them. It’s like reading bed time stories to children all over the world and knowing that they will fall asleep peaceful and happy. Listen in and see what you think. He really loved it. I got 5 stars apparently and he also asked me to take out the music- ‘Just your voice!’ he said. Click on the video link or go to my YouTube Channel and listen in there. 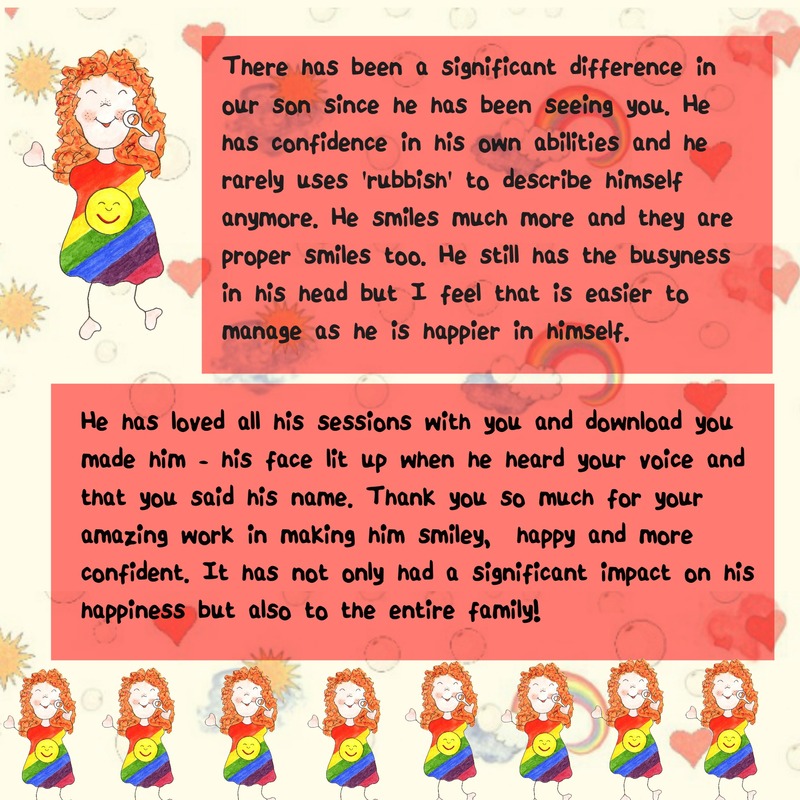 Once you have placed your order, you will be sent a little quiz for your child to complete so we can get all the important details which make this Smiley experience so special.